UPDATE: Adkins had the last laugh as Hull City won the tie, decided 5-4 on penalties. It finished 1-1 after 90 minutes in front of a sparse crowd of 6,327, including a sizeable turnout from East Yorkshire, Former Blade George Long remained in the subs’ bench. NIGEL ADKINS is about to return to the stage he left in almost total destruction. An awkward night for all concerned at Sheffield United and downright hostile in the stands. The first round of the Carabao Cup is not top of many people’s to-do list which will come as something of a blessing for the Hull City boss who returns to Bramall Lane for the first time since being sacked in 2016. A ground where he is truly reviled. With only part of the the Lane open he can nevertheless expect a hot reception. In contrast, goalkeeper George Long, the Sheffield-born former Blade who fell by the wayside after Wilder’s arrival and was loaned to Wimbledon last season, can expect a warm welcome. Long was unlucky. He broke into the team in United’s last Championship match before relegation in 2012, conceding four goals at Swansea. A good keeper, the former England Under-21 international time at United coincided with huge difficulties generally and defensively. Not least his season under Adkins who signed him for the Tigers earlier this summer. Sheffield United boss Chris Wilder has never directly criticised his predecessor whose shambolic reign in 2015-16 left the Blades in their lowest league finish for 33 years and a loyal fanbase in total disconnect with the club. But he has never disguised the desperate nature of what he found, either. The final humiliation was a 2-0 home defeat by Scunthorpe United watched by 21,445 fans. The now heartfelt regular chorus of ‘Your not fit to wear the shirt’ rang out for the last time before Adkins and his unhappy players completed an excruciatingly embarrassing ‘walk of shame’ around an almost empty ground. Less than a thousand fans remained and many of those let their feelings be known. Adkins, who had long since behind his back become a figure of derision for a local media subjected to his crass anecdotes and banal quotes which bore little resemblance to what was actually happening, then rubbed salt into the open wound. Holding United fans responsible for making his job difficult. Not surprisingly shortly after that he was sacked. The club dropped admission prices in an effort to start repairing the damage and Wilder was appointed to pick up the pieces. He ruthlessly cleared out most of the squad he inherited, including Adkins’ pet project Dean Hammond. A player who maintained his place despite bringing nothing to the table and who had a clause a the end of his loan deal from Leicester for the right to sign a 12-month contract. Wilder immediately transfer-listed him, there were no takers so the club paid Hammond off. Adkins is making his second visit to Sheffield in four days. He was at Hillsborough on Saturday where Hull were held to a 1-1 draw after having taken the lead against Wednesday. 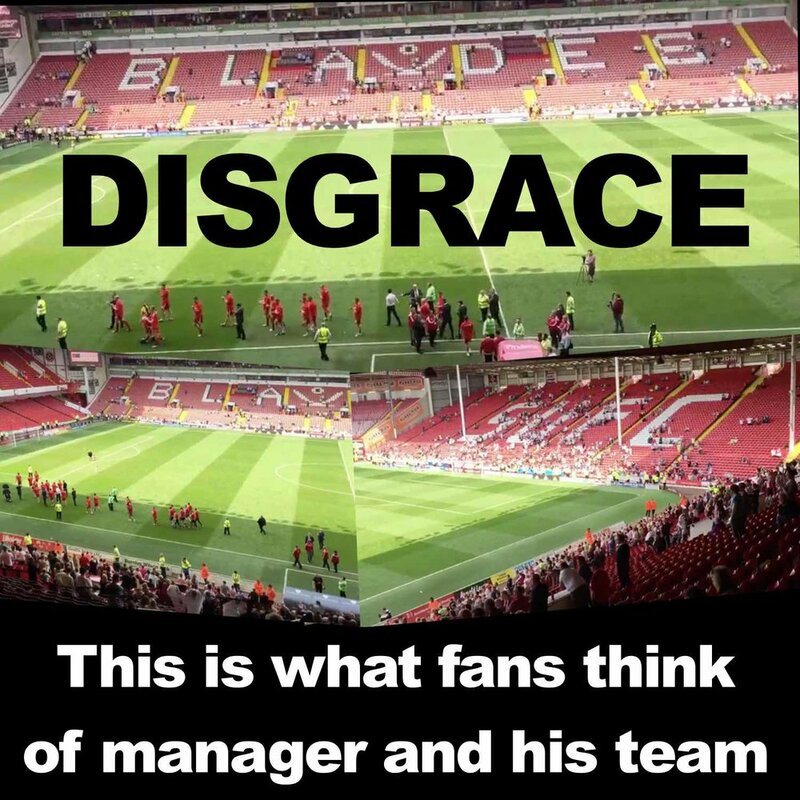 His reception there as an ex-Blades boss was positively benign compared to what he can expect in S2. Adkins faced United last season at the KCOM Stadium soon after replacing Russian Leonid Slutsky. A 1-0 win for Hull. His experience that night of the away end left him in no doubt that time hasn’t healed the wounds he inflicted. It won’t be any different tonight, either.